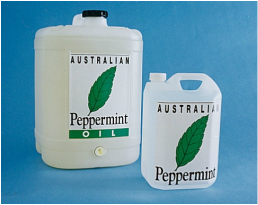 Australian Mint Oils & Flavours specialises in the formulation, development, processing and production of mint oils. We are a high-volume supplier of mint oils and mint flavours to a global market. Approximately 50% of our production is exported, and products containing our oils and flavours are present in many countries around the world, and particularly throughout South East Asia. We are a market leader in product quality and knowledge, with a reputation for formulating flavours to meet customers’ needs and specifications. Our distribution centre is located in Tullamarine, only minutes from Melbourne International Airport, major freeways and ports. Our location facilitates worldwide express delivery. "Mint Oil refreshes and revitalises with its stimulating taste and aroma unmatched by any other flavour. Remember the subtlety of the mint flavour of your product is too important to experiment with, come to the mint experts... come to Australian Mint Oils & Flavours where you will be assured of a quality product, great service and excellent technical expertise."